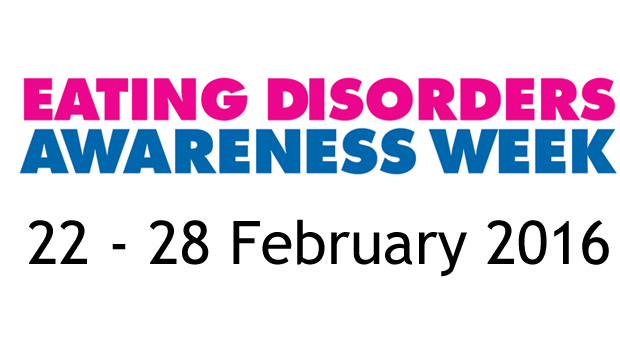 Last week was National Eating Disorders Awareness Week, and I’ve seen many people on my Facebook news feed take the plunge and describe their experiences in the hope of reaching out and being able to potentially help someone else in a similar position. After 4 years, I felt inspired to do the same. The thing about Eating Disorders is they are malicious, sneaky and competitive. It’s not a good combination. I first developed an Eating Disorder when I was 17 and in Sixth Form. From adolescence to early twenties is a particularly common time frame to develop an ED, especially for females, and I was by no means the only one in my year group. It was a stressful time for me: A level’s were in full swing and I was in the process of making what felt like massive life decisions including choosing which university to attend. However, even though this was the first time I had actually used disordered behaviours, the foundations for my disorder began a long time before that, when some girls in my year were talking about how fat their non-existent thighs and stomachs were. From then on, it became ingrained in me that I didn’t fit in the conventional body type and needed to be smaller. Anyway, when I was 17 it clicked in my head that if I reduced and controlled what I ate, I would lose weight. I began what most people, in the current climate of skewed eating, would call a diet and it worked: I did start to lose weight. It felt great. I was more confident in my body than I ever had been before, however it was never enough. This is the problem: even when I reached the weight I had aimed for to begin with, I wasn’t happy – I just ‘wanted’ to keep losing weight. The process almost feels addictive, and this is where behaviours can get dangerous. I kept losing weight in a roundabout way right up until I moved to university, using this as a motivator. This is really where things became difficult, because suddenly I was the one managing all of my food, what I ate and when I ate. There was no one looking over me, nobody controlling my mealtimes and quite frankly, no one cared if I skipped a meal or not. I started restricting my food intake to a dangerously low amount (I’m purposefully not going to use numbers here) and exercising whenever I could: I’d go on late-night runs and I purchased a gym membership with the pretence of ‘getting healthy’. I was rigidly counting calories using an app on my phone, I had certain limits of what I was and was not allowed to eat and I was obsessively weighing myself, upwards of 5 times a day. It got to the point where I wasn’t even that focused on losing weight anymore, it was more the feeling that I had to be ‘in control’ of my food and my weight and if I let my guard down, then I’d eat all of the awful, unacceptable foods. I would stand in front of the food counters in Boots whilst my friends had made their decisions 5 minutes before, panicking about the implications of my choices and counting up all the calories on the packaging. I would spend hours in supermarkets aimlessly wandering through the aisles trying to find food that was ‘acceptable’ for me to eat that I also vaguely felt like eating. It was honestly terrifying – a spontaneous meal out with my housemates would send me into a flurry of panic, and I consequently ended up missing out on several social occasions. Despite all of this, I was never underweight. But, this doesn’t mean I was healthy, and it doesn’t mean I didn’t have an ED. According to the BMI scale I would never have been classed as underweight and therefore would not have clinically qualified for a diagnosis of Anorexia Nervosa, according to the DSM-V (the diagnostic manual used for mental health disorders). The thing which frustrates me about this is everything else about my habits were anorexic, my thought processes included. I know this because I have both personal experience of several friends who have suffered very badly from Anorexia, and also because I take Psychology as a degree, and we study Eating Disorders. For me, my lowest weight was unhealthy for my body: I was restricting my food and doing a lot of exercise to maintain that low weight. My hair changed texture, I had problems with energy and being cold, and I had these weird marks all over my hands, presumably from a nutrient deficiency: I was evidently not a healthy weight for my body despite not being clinically underweight. What frustrates me about this is not missing out on a diagnosis – it’s not really about me at all. It meant that I was not referred to an Eating Disorders service until I pushed for it myself, as generally GP’s did not view my condition as ‘serious’ enough. This worries me because a lot of people with EDs will never see themselves as important enough or sick enough to get help, and will consequently get very, very ill. The stress of my first term of university had fuelled my disorder through and my first set of January exams were no exception. At this point I was at my lowest weight, but I was not yet receiving help and I hadn’t told many people about my ED. If I’m honest, I was in denial: I really didn’t believe I was ill enough to receive any help and I didn’t want to give up the body I had attained, even though I was miserable. After January exams, however, I started to struggle very seriously. The motivation I had whilst doing my exams had dropped off and I wanted to try to eat a bit more of what I wanted to again. Unfortunately, it didn’t quite work like that. Eating the foods that I had missed was accompanied by A LOT of unnecessary guilt, and this threw me into a horrible cycle. I was told I went into a phase of an Eating Disorder called ‘reactive eating’, which is where the body switches the control centre off in the brain and consumes the food it needs to survive. I would sit at my desk in the evenings unable to control what I was eating, making myself plates of food that I didn’t even feel like. It was one of the most stressful and disturbing psychological experiences I’ve ever had. During the days I would be terrified to eat anything in case it happened again, so I would end up restricting my intake, which I think just made the situations in the evening worse. It was at this point I sought help. I saw a nutritionist and a university counsellor who both specialised in Eating Disorders. I didn’t find anything at the time particularly helpful, and over the summer break I decided to try to recover of my own accord as all university based therapy stopped. Above is the symbol for Eating Disorder Recovery. I felt my story was particularly inspiring to share because I think a lot of the things I experienced are relatable: I was never underweight and therefore felt like I was not ‘sick’ enough to receive help, however I was, and am currently being referred to Eating Disorder services on the NHS in Wales; I also experienced Anxiety and Depression, and this cocktail of disorders made university life very stressful and taxing for me. Despite this, I can instil hope in those feeling low: even with being depressed, anxious and recovering from and Eating Disorder, I still averaged a 2:1 in my first two years of university. I still managed to secure myself a placement, and, though it’s been the most difficult thing I’ve ever done, I’m managing to complete that placement year, all the while still trying to get better. I expect I will manage to complete university. Moving forward, I hope that even though I’m not fully better, my story will be able to help at least someone else take that step and decide to recover. It’s one of the toughest, most frequent and most rewarding decisions you will make. I promise. So that’s what I’m doing. Slowly and surely, I’m learning to love myself. And you can, and should, do the same, no matter whether you’re male, female, big or small. Such a moving description of your struggle with ED. I am sad to know you have had this struggle. But I am glad that you are able to share so openly. I hope this will give other people dealing with ED the strength to seek help. God bless you.